Bletchley Park used to be a top secret codebreaking and intelligence base for the British army during World War II. Today, it has been transformed into a vibrant centre of British computing heritage and history. Almost all exhibits at Bletchley Park are housed inside ten buildings located inside its sprawling 58 acres space. In addition, the Bletchley Park Trust has also rented out several buildings in the estate to three organisations: The National Museum of Computing (Block H), National College of Cyber Security (Block G) and RSSGB National Radio Centre (a new unit near the entrance). Bletchley Park’s history stretches all the way back to the medieval era at the turn of the first millennium, when it was used as a deer park by the gentry and nobility. By the sixteenth century, the owners of the land, the de Greys clan of Wilton, moved away and the area was converted into agricultural use. Over the next hundred years, the ownership of the estate underwent several changes, from convicted traitor Thomas Grey to King James and George Villiers, the first Duke of Buckingham. It was at around this time that the estate came to be known as Bletchley Park, for reasons unknown. However, it took one more change of ownership, to the family of famous physician Dr Thomas Willis, before Bletchley Park attained its proper status as a respectable estate, replete with a manor, stable, rose garden, and even servants’ quarter. 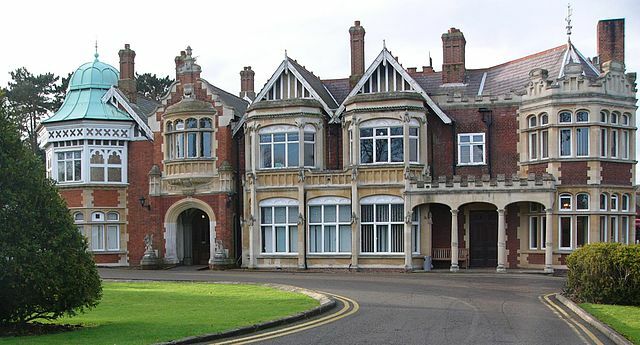 By the 20th century, under the ownership of Herbert Samuel Leon (1850-1926), the gentlemen’s residence at Bletchley Park was upgraded into an opulent mansion in Gothic revival fashion with numerous smaller buildings surrounding it. This turned out to be a good thing, because in 1938, the Government Code and Cypher School (GC & CS) were looking for a larger and more strategically located facility to prepare for the imminent war- and Bletchley Park turned out to be perfect for their needs. It was isolated and spacious, and can easily accommodate a few hundred people. It was also located close to a railway line and the Defence Teleprinter Network repeater station. In addition, it was near Oxford and Cambridge, which will provide the majority of the brainpower for the covert unit. Incredibly, owing to the delay in government funding, Chief of the Secret Intelligence Service, Admiral Hugh Sinclair, purchased the property using his own money in 1938! And on 1 August 1939, GC & CS vacated its London offices and moved to Bletchley Park. In the following few years, the land surrounding the mansion was filled with hastily constructed buildings to accommodate the ever burgeoning number of military and intelligence officers. Bletchley Park would go on to be the most critical source of intelligence for Allied Forces during World War II. It was the codebreaking capital of the world, and some of the greatest British minds ever, like Alan Turing, Derek Taunt and Bill Tutte, spearheaded numerous generational leaps in computer science, cryptography and mathematics during the period. Perhaps the crowning glory of Bletchley Park was its success in deceiving Hitler using fake messages and radio communications to suggest that the fictitious 1st US Army Group will land in Calais in June 1944. As the Germans diverted resources there, the American-led Allied forces landed at Normandy beach instead. So influential was its role in the war, renowned historian Sir Harry Hinsley claimed that Bletchley Park shortened the war by up to four years. In the intervening decades after the war, Bletchley Park gradually lost its prestige, as the secrecy surrounding its role and achievements in World War II was maintained by the British government until the late 70s. By 1991, there were even plans to demolish the structures inside the estate to accommodate facilities for a new management school. However, as new generations of Britons began to learn about the historicity of Bletchley Park, calls started to grow about preserving its history and iconic status. The groundswell of support eventually culminated with the building of a Visitor Centre in 2011 courtesy of a £5 million lottery grant and an additional £3 million in matched funds. The funding also allowed repair and restoration works to be performed on the facilities in the ground. In 2014, another £8 million was spent on a restoration project, which was commemorated by the Duchess of Cambridge upon completion. In an interesting twist of fate, the grandmother of the Duchess of Cambridge, Valerie Glassborow, worked in Hut 6 in Bletchley Park during the war.